The most iconic components, ClickShare Buttons put the "Click" into ClickShare. 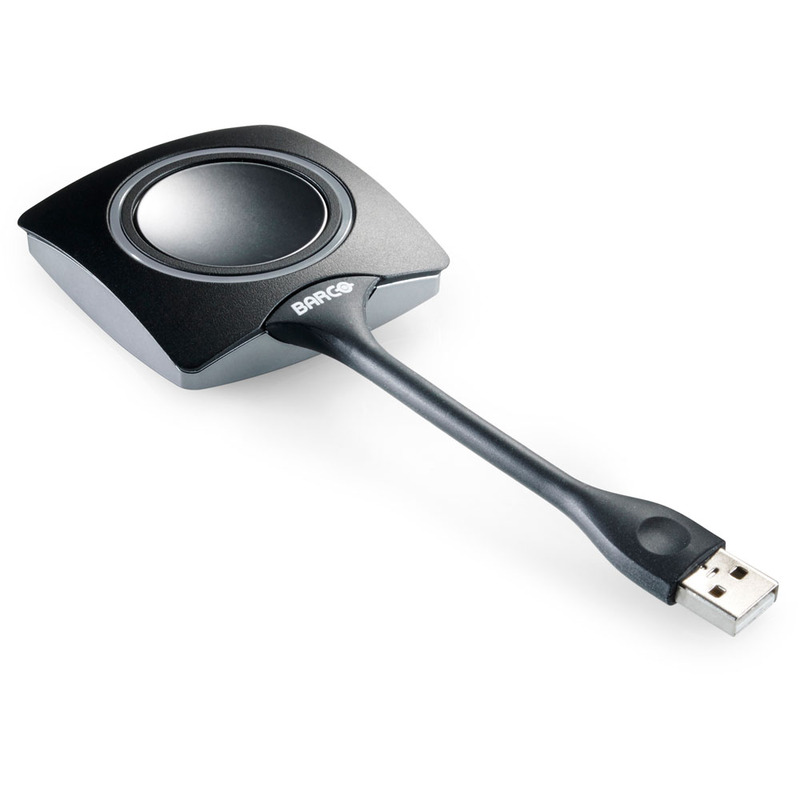 Plug one of these USB devices into your laptop, start the application and click the button, and you are ready to share your content using the meeting room's AV equipment. To ensure that your content is displayed on the right screen, every ClickShare Button is paired with a ClickShare Base Unit. The pairing process is quick and simple, so ClickShare Buttons can be transferred across meeting rooms without a problem. Multiple ClickShare Buttons can be paired to the ClickShare Base Unit, and up to four people can be on-screen at the same time.